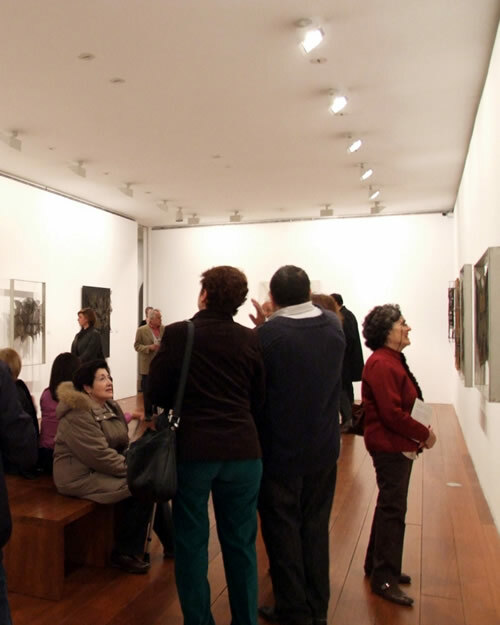 Guided visits to temporary exhibitions in the José Guerrero Centre. These are conceived of as a reflexion offering an approach to the often complex visual language of our time, as well as encouraging better understanding, motivation and enjoyment. Guided visits to the collection of the José Guerrero Centre (works by José Guerrero). These are sessions in which we address abstraction, which was not only a predominant tendency in the work of Guerrero, but also a fundamental theme in the visual arts of the 20th century. Guided visits to the José Guerrero Centre as a museum. In these visits we attempt to explain the raison d’être of a museum institution by means of a tour through the architecture and installations of the Centre. 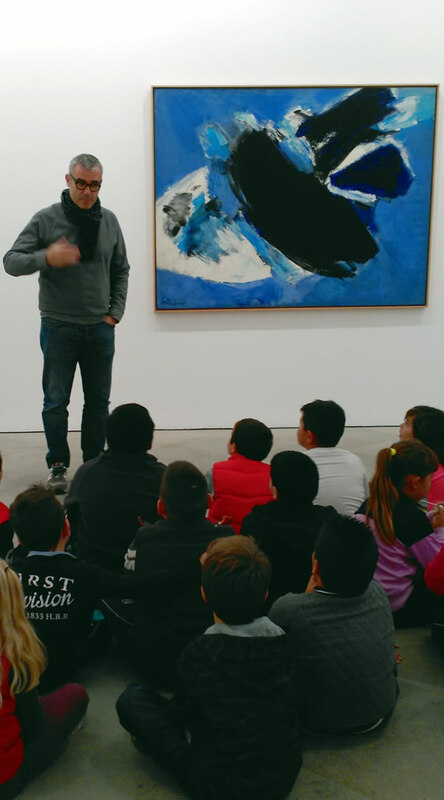 Our Acércate programme offers free transport to pupils and teachers from schools in the province of Granada (except for those in the capital city) for them to visit the José Guerrero Centre and attend our guided visits. This also allows them to undertake other educational activities in Granada programmed by the school itself during the rest of the morning. Aimed at: Schools in Granada province (other than those in the capital city). Applications will be dealt with by order of arrival. Number of trips: One per school during the school year. Number of places: One bus with 50 to 55 seats. A minimum of 40 seats must be filled to be eligible for the subvention. Number of participants per group: Maximum of 20 for pre-school children (3-6 years), maximum of 25 for Primary, Secondary, Sixth Form or Senior High School, Higher Grade Training Courses, Adult Education or University students. Students will be placed in as many groups as necessary to cover the needs of any one school, with students from no more than two teaching levels in each group where possible. Operational dates: Throughout the 2016-2017 school year. Times: Groups at 9:30, 10:45, 12:00 and 13:15. Applications: By telephone. We require information on the school, year, name of the person responsible, contact phone number and e-mail address at least three days before the visit. Any association or group of people, as well as any school from the province of Granada or otherwise can visit the Centre as many times as deemed necessary. We also offer guided visits, although in this case transportation costs will be borne by the group making the request. Aimed at: Any organized group from the educational sphere or not. Requests must be made in advance as stipulated and approval will be subject to times available. Number of participants per group: Maximum of 20 for pre-school children (3-6 years), maximum of 25 for Primary, Secondary, Sixth Form or Senior High School, Higher Grade Training Courses, Adult Education or University students and associations. In the case of school groups, students will be placed in as many groups as necessary to cover the needs of any one school, with students from no more than two teaching levels in each group where possible. Number of visits: There is no limit to the number of visits, the only restriction being the availability of times. Times: At 9:30, 10:45, 12:00 and 13:15. Applications: By telephone. We require information on the group, association or school, the name of the person responsible, contact phone number and e-mail address at least three days before the visit. Guided visits to the exhibitions of the Guerrero Centre are open to the general public every Tuesday at 19:00, except public holidays and holiday periods. Any interested person or group may join the Tuesday visit. There is no charge for this activity.